Hello there! 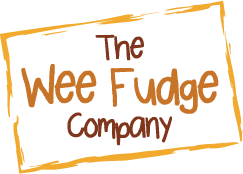 Welcome to The Wee Fudge Company, Scotland and Glasgow’s very own award winning producer of the most fresh and delicious melt-in-the-mouth handmade Scottish fudge; and home to me, the #fairyfudgemother! 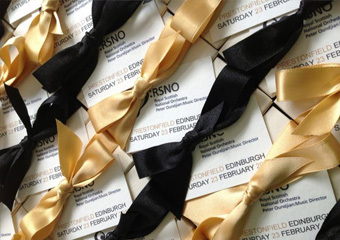 We will create bespoke table gifts, gift bags or boxes to suit any occasion – big or small. Just get in touch, let us know what you’d like, when you’d like it and we’ll work with you to create just what you want to make you and your event that little bit more memorable to your guests! Special celebration coming up and table gifts to think about? Let us do the thinking with you and be your creative partner. We work with your ideas and colour palette, your choice of our delicious fudges and then we deliver you beautiful bespoke gifts in flavours your guests will love and remember! So what makes our fudge special? 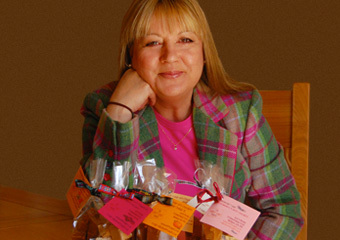 Our aim is always to produce only the best quality fudge and a product that is different from all others…. just taste it and you’ll understand! 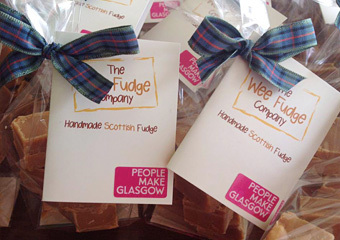 Our fudge is made in very small batches using only fine, natural and often Scottish ingredients and we never ever use colourings. Our promise to you is simply to deliver a product that is delicious, authentic, freshly made and and tastes of exactly what it says on the label. A year and a day! Hello New Year and hello new opportunities! … and so 2012 comes to an end… but this is just the beginning! A crumbly tablet textured fudge laced generously with the finest Canadian maple syrup. 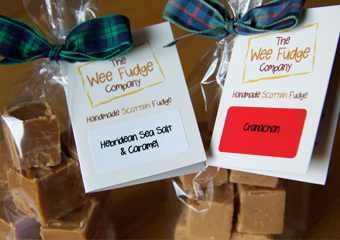 Our fudge is currently stocked for retail sale by our wonderful partners listed below.